Arizona Arthritis Clinic, PLLC always appreciates feedback from our valued patients. To date, we’re thrilled to have collected 26 reviews with an average rating of 4.88 out of 5 stars. Please read what others are saying about Arizona Arthritis Clinic, PLLC below, and as always, we would love to collect your feedback. The doctor was very compassionate and wanted to know what I’ve been through with my health. He was thorough and went over my X-rays with me. I never had a doctor do this before! His staff were wonderful as well! They helped make you comfortable and were empathetic! 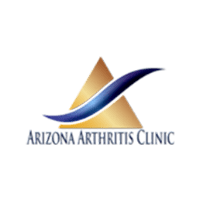 I highly recommend AZ Arthritis Clinic! I appreciated the Doctor's approach to treating the whole patient and not just prescribing medication. Office staff is professional and friendly. Dr Al Khoudari is amazing. He spent time explaining to me about all of my concerns. I feel very satisfied and would highly recommend him to anyone! Dr.Al-Khoudari listened patiently, treated me kindly, took care of my problem efficiently, and made sure I understood his directives clearly. Wonderful doctor! My GPS sent me elsewhere. I was over a half hour late and they still fit me in. So friendly and DR. Wasn’t rushed. I always receive kind professional treatment from Dr Amir Al Khadari and his office staff. I am very pleased with him and would recommend him. Very personable and through. The doctor was pleasant to talk to and answered my questions and helped me in every way to alleviate any pain I had. He also gave me a prescription to be filled and ordered a blood test. First visit to my new RA doctor and I learned more about my disease and treatment options than 8 years with my precious RA provider. He’s great! Excellent. Prompt & friendly. The dr took time & explains everything. Did not feel rushed. A pleasant office with clean surroundings. I will definitely recommend him & his office. Friendly staff. This doctor is very caring, listens to patients, helps me manage my pain with medication. He is very forthcoming about telling me if I need more help with pain before my next scheduled appointment to not hesitate to call his office. Being a senior citizen, I appreciate the quality of care. Dr is awesome. Down to earth and easy to talk to. Staff is the best ever. Very personable and follows thru on everything. Completely explains diagnosis plus spends time with you as an individual. He is not like other Doctors that have you in and out and treat you like every other patient. First visit so far so good.